Come and learn to surf in Samara Beach. If you already surf, come hang out with us or rent a board. 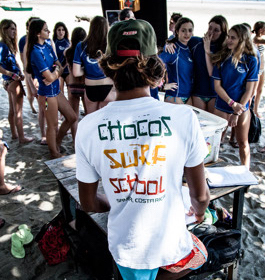 If you've always wanted to learn to surf in the tropics, Choco's in Samara beach is your answer! The 7 km. long white sand beach is framed by mountains and the striking Chora Island is just offshore. Since Samara Beach is largely protected by an outer reef, the waves are easy to catch and are perfect for beginners. 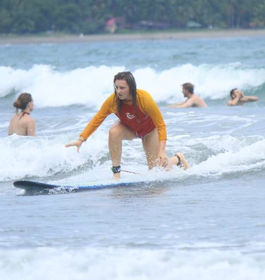 USA Today recommended Choco's Surf School and Samara as one of the top surfing beaches in Costa Rica. For beginners, we start with the basics and safety. For more experienced surfers, we can show you more advanced techniques, tricks and take you to different breaks in the area. You'll be riding the waves in no time when you learn at Choco's! 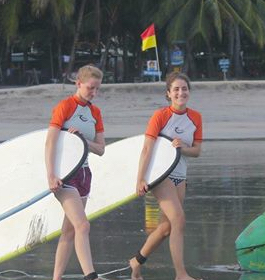 Having a knowledgeable, friendly and professional instructor makes all the difference in learning to surf. If you already surf, come hang out with us or rent a board. 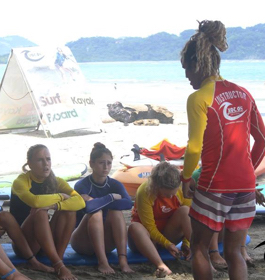 Our instructors are certified by the International Surfing Association (ISA), are trained lifeguards/Ocean Rescue, have years of successful teaching experience, are bilingual and enjoy sharing their love of surfing. 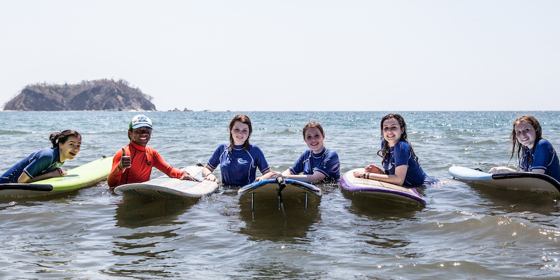 We use a step-by-step approach to surfing that will have you riding waves by the end of your first surf lesson. Read more about our instructors in the "Instructors" section. 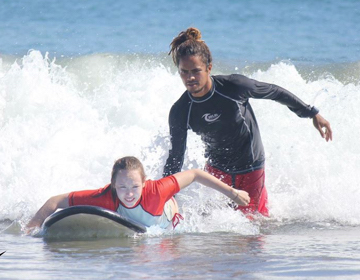 All surf classes include step-by-step instruction following ISA protocol for surf instruction. Lessons last about 90 minutes. All lessons include 5 hours additional board use while you're in Samara. Choco was one of the first surfers in Samara. 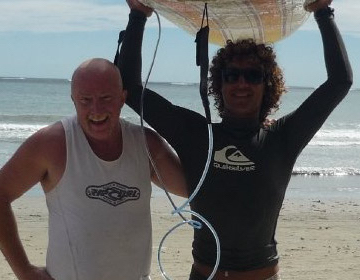 He and a small group of guys began surfing in the late 1980s. 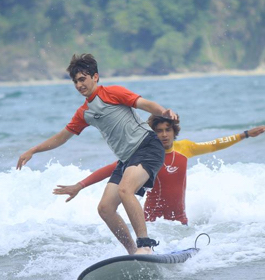 He later went on to surf in National Competitions (Circuito Nacional de C.R.) for many years. 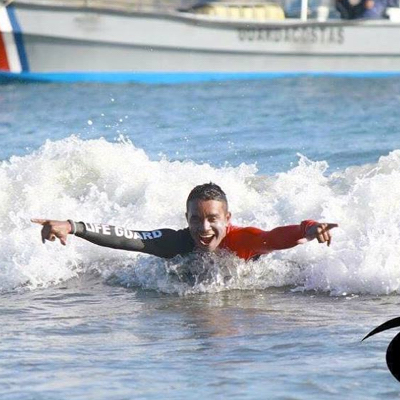 He currently is ranked #2 in Costa Rica in Longboard (2013-2015) and represented Costa Rica in the 2013 World Longboard Competition in Huanchaco, Peru. Previously, he was Pre-Selected to represent Costa Rica in the Billabong World Surfing Tournament in 2008 and he also represented Costa Rica in Central America's Surfing Competition in Playa Veneo, Panama, in November 2013. In December 2015, he represented Costa Rica in the PanAmerican Games in Nicaragua. certified by ISA, and have taught for many years. Shaggy passed away in April of 2012 unexpectedly. We miss his vivacious spirit and love of life. 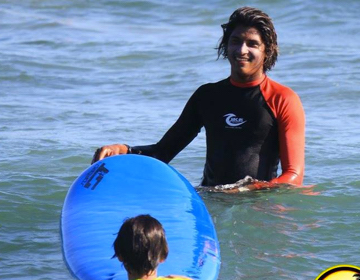 He taught hundreds of people to surf and to laugh while learning a new sport. 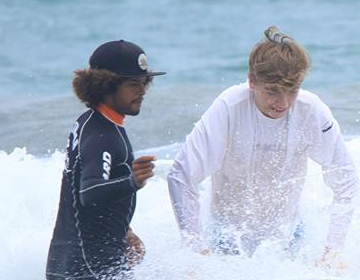 Shaggy began surfing when he was ten years old. His natural ability and drive were highlighted in 2007-2008 when he won First Place in his category in Costa Rica's National Surfing Competition (Circuito Nacional de Surfing). Since his win, he has continued participating in local and national competitions.A favorite with tourists for his quick humor and effortless English, he has been giving classes since 2008. When he's not working, he surfs, studies English and attends college. 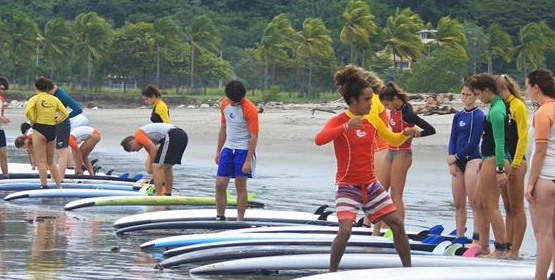 Start your surf classes today! We hope to see you soon on the beach. Until then, Pura Vida! You can email us in English or Spanish at chocossurfschool@yahoo.com. We'd love to hear from you! Want to book a lesson? Let us know!